Researchers believe that 70% or more of the people in North America prefer non-literate means of communication. Over the past twenty years, 20 million people have completely stopped reading. Only 14% of Americans still read extensively. 80% of American families did not buy a book last year, and the average reader only makes it to page 18. Over 50% of people over the age 16 are functionally illiterate. 58% of US adult population never reads another book after high school. 42% of college graduates never read another book. (I actually had a doctor recently tell me that he had never read a book all the way through!). Each day, people in the US spend four hours watching TV, three hours listening to the radio, and 14 minutes reading magazines. As I come across more and more folks who are post-literate, I’m challenged to think about my communication of the Gospel. 75% of the Bible is story, and by making it primarily propositional truth do we take it out of the comfort zone of learning for many of our hearers and especially for those who are unchurched and not accustomed to listening to preaching. What about you? What is your preferred method of learning? Outline? Story? What do you remember most from the last sermons that you have heard? Leave your comments below. 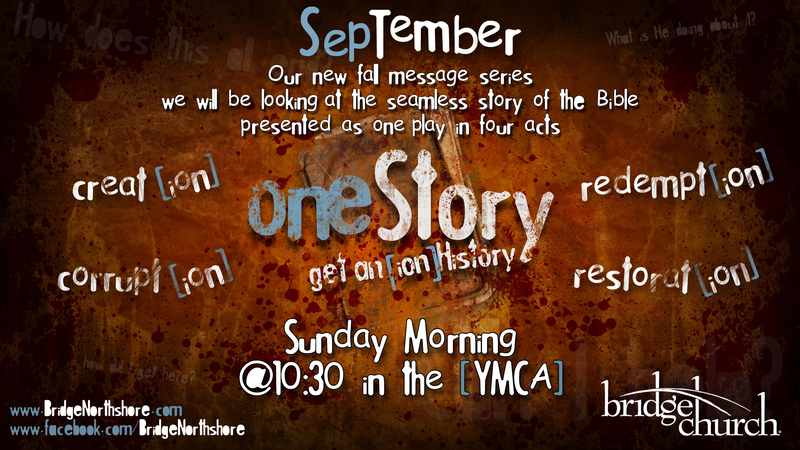 Trying my hand at more story-telling this Fall with our new Message series called One Story. Enjoying it so far and seeing the impact already. Story of God Training by Soma Communities Church in Tacoma Washington. Stats from National Center for Education (nces.ed.gov), National Institute for Literacy (nifl.gov), Chronological Bible Storying (chronologicalbiblestorying.com), International Mission Board (imb.org), Story of God Training, Somma Communities (somacommunities.org/soma-school). Posted on September 2, 2011, in Ministry. Bookmark the permalink. 1 Comment.